The unique particle distribution of the Nokian Twin Trac Silica rubber compound, which contains natural rubber, silica and canola oil, ensures peak performance for snow and wet grip. 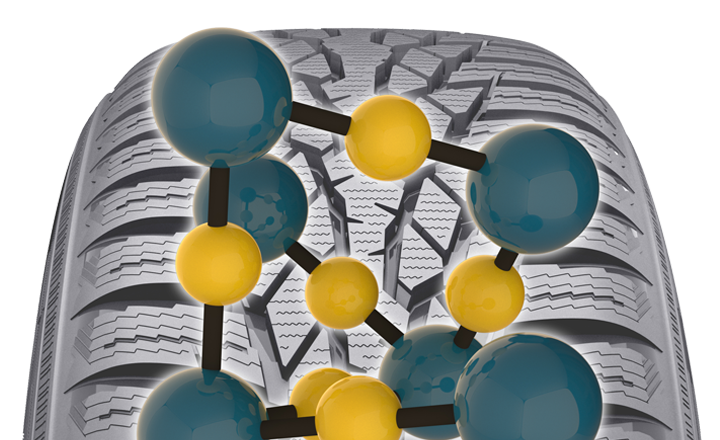 This state-of-the-art compound innovation also improves driving stability and wear resistance. The large amounts of natural rubber and canola oil ensure that the excellent winter grip properties remain the same even as temperatures change and the kilometres add up. Extremely low rolling resistance results in low fuel consumption.